The Differential Voltage Probe is designed for exploring the basic principles of electricity. 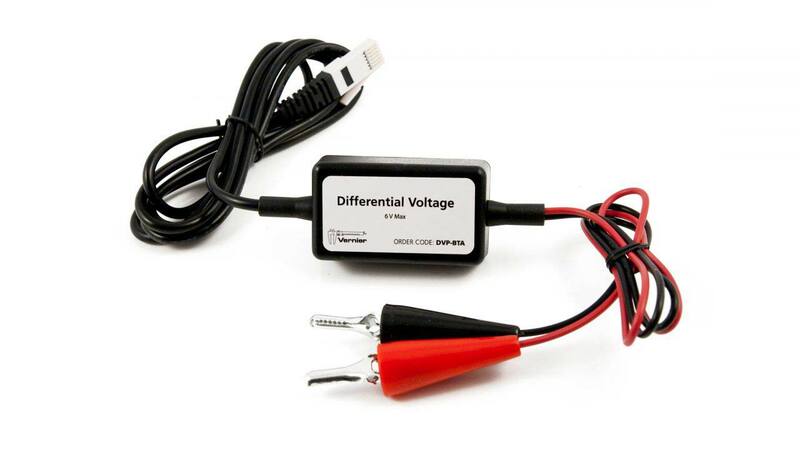 The Differential Voltage Probe reports the potential difference between the red and black leads. For example, if the black terminal is attached to something that is 2 V above ground, and the red to something that is 3 V below ground, it will report -5 V. The Differential Voltage Probe is the preferred voltage sensor in cases where more than one voltage sensor will be used in the same circuit.